I enjoy the variety of clients I get to work with, and here and there masculinity will pop in and say, "hello", which is refreshing. Kingdom Automotive is one of those clients. 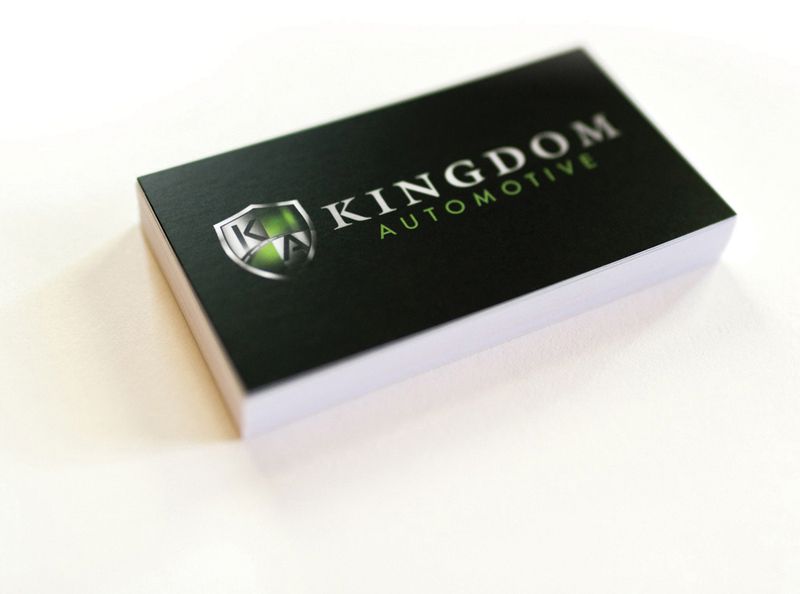 I had done some work with Kingdom Automotive a couple years ago, and when they asked if I would help them with their new re-brand, I of course said, "YES!" It was important that this logo fit the brand that Kingdom Automotive has been building these last couple of years. That meant I needed to quickly communicate professionalism, trustworthiness, integrity, attention to detail, and loyalty to their customers through this new logo to come alongside their brand. Going through my process of research, client questionnaires, and mood-boards, we were able to nail down some visual elements that we felt could be the main anchor of the logo. Kingdom Automotive has a desire to communicate honestly, provide trustworthy service, and always operate with the customer's best interest in mind. We both felt that the shield I created communicated those core business values that the company wants to portray.